Good morning readers, before we start with today’s post, just a quick reminder to take part in the b.loved Reader Survey 2012 and you could win the fabulous book Handmade Weddings: 50 Projects to Style and Personalize Your Big Day! 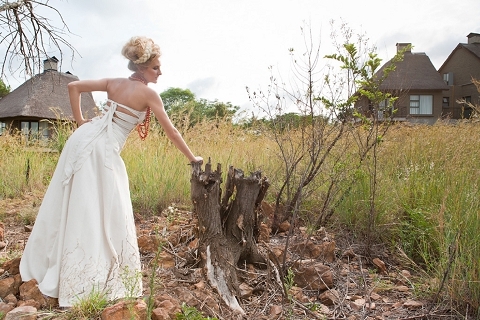 When photographer Eddette Steynberg of Purple Apple Studios mentioned she had an African-inspired shoot she had recently shot in the bush near Johannesburg, I leapt at the chance to feature it! Of course you all know by now how much I love Africa, the sounds of the bush, the unusual flora and fauna, oh and the relentless heat of the African sun, so it was a given I was going to love this shoot. What really captured by imagination though was the combination of traditional African ideas with new, contemporary ones. 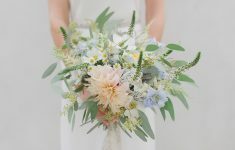 Styled shoots are meant to push the boundaries, so we’re not suggesting you turn up to your wedding in full African regalia, I hope you can take away something from this shoot that you may want to use in your own wedding, whether it’s a bold use of colour, statement necklace or striking bouquet. The shoot focussed on two looks, the first shot out in the bush, contrasting hot orange against the rustic colours of the surrounding landscape. 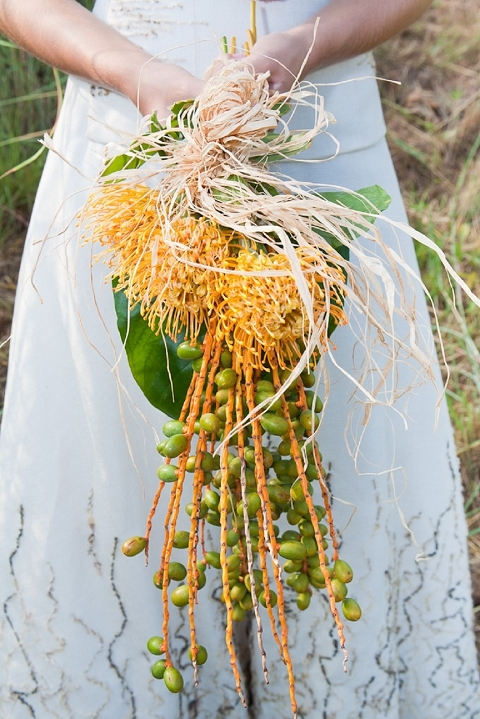 Traditional beaded necklaces and indigenous florals were combined with a contemporary dress and makeup. Dress designer, Anene Ferreira created a dress compliement the natural beauty of the African landscape, with an unusual embroidery design to the skirt. Moving away from the traditional, mass-produced look she wanted to create a dress noticed for it’s individuality. The incredible hairstyle with loose braid mimics the raw texture of the dress, capturing an ethnic feel with a feminine touch. The second look is inspired by this stunning contemporary feathered dress also by Ane Ferr. The drama and volume of the dress was complimented with statement hair and makeup, incorporating netting and texture with smoky eyes accentuating the brides features, contrasting with the safari neutrals of the beautiful venue. I loved arranging this shoot with these talented wedding vendors and was fortunate to have two gorgeous models on hand, Anri and Leo-Mari. The idea behind the shoot was to integrate a traditional African wedding theme with out-of-the-box thinking when it came to the dress, styling, bouquet, hair and make-up! 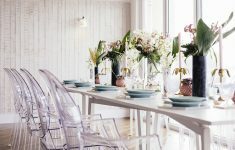 I challenged the ladies to come up with totally unique concepts based on the venue, theme and settings I gave them and felt extremely blessed that they were all so involved excited to be part of this project.